We have started a blog where Mercy girls can write in and share their stories, their gratitude, and most importantly, their encouragement to other girls who are either currently in the process of applying to the program or who are struggling and searching for hope. This has been a wonderful ministry tool, and we wanted to share it with you. What these girls are sharing on this blog is truly inspiring. So, we wanted to share this blog with you in hopes that it would touch your heart. You will be able to see firsthand how these girls’ lives have been transformed by God’s unconditional love and forgiveness – so much so that they are now using their stories to help others. 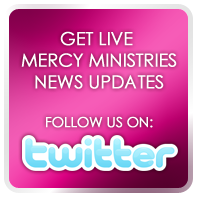 Check it out at www.mercyministriesblog.blogspot.com. Don’t forget to check out Nancy Alcorn’s Blog at www.nancyalcorn.blogspot.com.